The shadowy hacker group vows to fight ISIS, creating an unprecedented battle between non-governmental groups with unknown real-world repercussions. In the wake of the terror attacks in Paris last Friday, the hacker collective Anonymous used a YouTube video to declare war on ISIS, promising to take down websites and Twitter accounts associated with the group, and following up with a message warning of "major cyber attacks." This new effort appears to be a continuation of a year-long Anonymous campaign, chronicled in a recent report in Foreign Policy magazine. While many people may agree with Anonymous' motives, it's far from clear what the actual effects will be of this cyber conflict between two groups that lie largely outside of the traditional nation-state structure. According to Foreign Policy, "hacktivists claim to have dismantled some 149 Islamic State-linked websites and flagged roughly 101,000 Twitter accounts and 5,900 propaganda videos." But that doesn't seem to have crippled ISIS' ability to operate in Syria, Iraq or in other countries. The @GroupAnon Twitter stream seems to suggest that Anonymous plans to go after ISIS' finances, which could have a greater effect. Or not. Either way, it will be difficult to establish whatever those effects might be. On the other hand, Anonymous' shadowy nature may give it a big advantage compared to government-sponsored groups. It could be free to do things that governments and other official organizations could not or would not. Perhaps more important, the group claims on Twitter that "We're also better hackers." Fortune seems to agree, although it quotes Ben FitzGerald, cybersecurity expert and technology director for the national security program at the Center for a New American Security, saying "Anonymous' efforts may prove more of 'a nuisance rather than a threat.'" Finally, even if Anonymous's hackers do have a significant impact against ISIS, it's not entirely clear how much that helps governmental efforts. Last year Mashable reported that some tech companies said U.S. intelligence officials asked them not to remove ISIS accounts so that they could be more easily monitored. And law enforcement has often targeted Anonymous itself. But E.T. Brooking at Foreign Policy argues that groups like Anonymous can be more effective than traditional intelligence agencies, and suggests that governments should pay these groups in bitcoin to do this kind of work. Here's the thing, though. We're operating on uncharted waters. It's not clear what the implications of any this are in terms of affecting what happens in real life. We don't really know how much ISIS depends on its online activities. We don't know how any Anonymous attacks would affect those activities. We don't know how ISIS would react to those attacks. 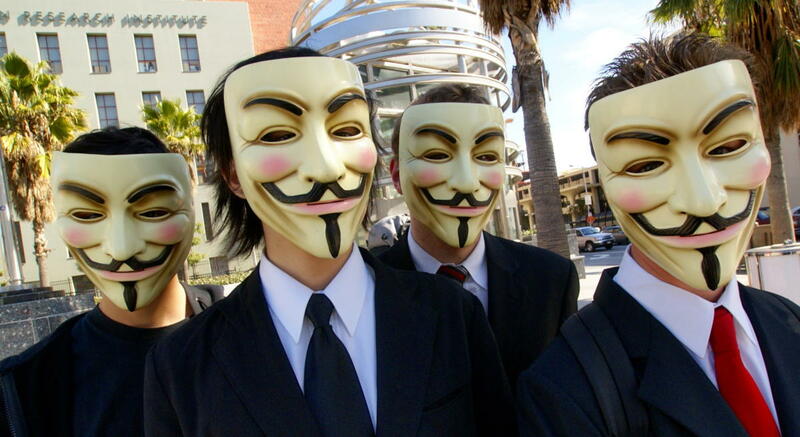 We don't know what Anonymous will do if it succeeds in hurting ISIS, or if it fails in that effort. Sorting out the actors, causes, and effects in this new kind of conflict is incredibly murky and complicated. Adding Anonymous to the mix make it even more so.